We've done some reviews of Bluetooth speakers in the past. Here's a chance to win one. Take a chance to win. US residents have until 10/10 to enter. Good luck. The TechMatte Sound Pod Bluetooth? Speaker is all you need to listen to your music on the go! With rich sound and portability, this speaker is great for indoor or outdoor use with your smartphone, tablet, iPod, or laptop. Experience the simple "Place & Play" pairing that the Sound Pod has to offer. We've had great luck finding jeans for my seven-year old at Kohl's and not much luck elsewhere. What do you shop for at Kohl's? Here's a chance to grab a $50 gift card for there. You must be a US resident and enter through 10/9 for your chance to win. 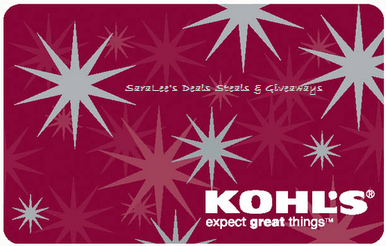 Now for the giveaway: One lucky person will win a $50 Kohl's Gift Card. This is open to US and ends 10/09/14 @ 11:59 pm est. To enter, Simply do the tasks on the Giveaway Tools widget below and you're set to have a chance to win! Remember you can't win if you don't enter. It only takes one entry to win! Our house has been sick and unable to get to the faire this year, so far, and today is the last day for our giveaway where you can win four tickets. Do be sure to enter before the end of Saturday if you want to win tickets. Winner will have them in time to go in October. It's not easy being green. Here's a chance to go solar. Here's a chance to win a spike if you're US based and enter by 10/7. Good luck. Chasing away moles, gophers and other destructive burrowing animals just got a whole lot easier. Using the sun – the strongest and least expensive power source available – the effective, eco-friendly Solar Sonic Spike PRO with Hyperpulse Technology emits powerful vibration and sound pulses that drive away burrowing animals without a scratch. This humane, poison-free mole and gopher repeller is safe to use around children and pets, so you can kick back and enjoy some peace of mind, not to mention a destructive-free yard. It is snacking time here with this giveaway. Have you heard of Funny Face cranberries? They're from Carver, MA, right down the street from the King Richard's Faire. Don't miss winning tickets for that, in addition to trying to win some dried cranberries. US residents have through 10/11 to enter to win. What does a school smell like? Win this and discover what Penn State or LSU smells like, among many others. Or, buy it without winning. US residents have until 10/10 to enter to try to win. Good luck. How do you show your team spirit? The team that you cheer on the most? The team that you bleed their colors? You can read Tammie's Review of this product by going HERE. It does not matter if you are a guy or a gal, They have the fragrance for you. First time I've seen this company in a giveaway. Hope you like what they offer. The giveaway runs through 10/4 and is for US residents only. Good luck. Do you kids have an abundance of character jammies and you would love to see something a little different from time to time? 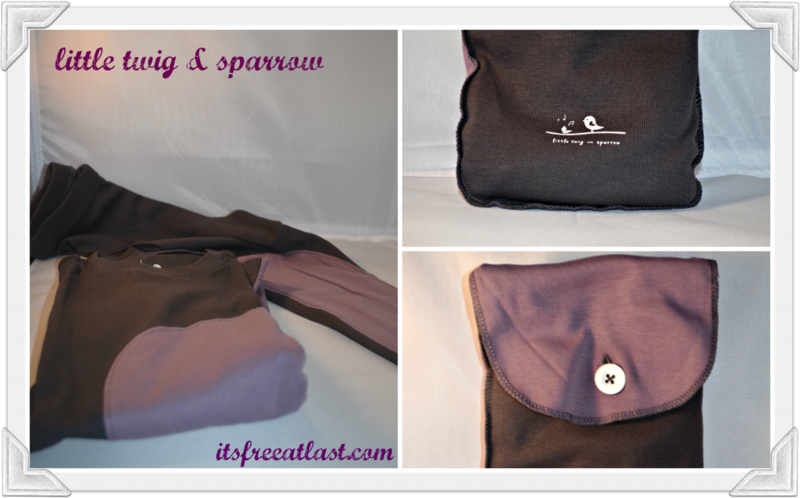 Move onto something with better quality and a trendier design with Little Twig and Sparrow. These gorgeous pajamas are made from Peruvian Tanguis cotton with a luxurious feel and perfect for sleepwear. The stylish, modern design comes in a soothing palette of colors that is pleasing to both girls and boys alike. Their durable, sustainable design will last and last. Do you know a teacher/educator? 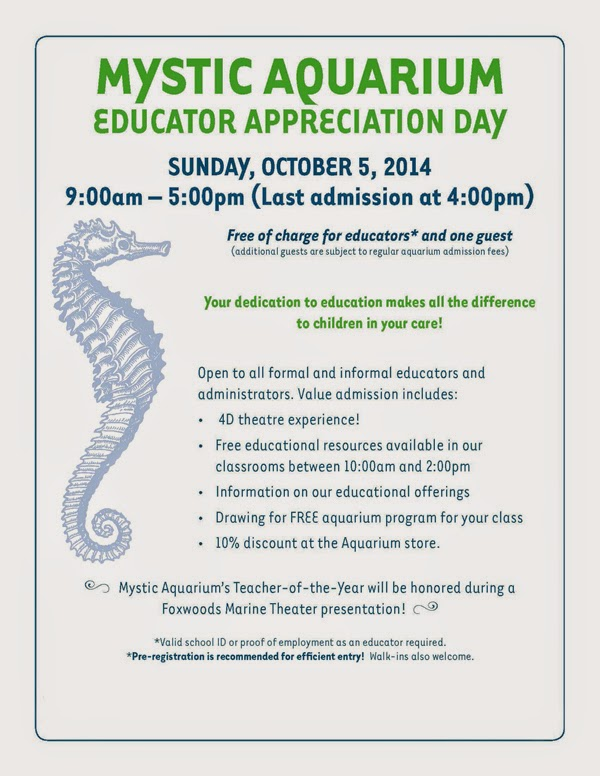 Let them know that they can have free admission with a friend to Mystic Aquarium on Sunday, October 5th. Sounds like a fun day planned. Here's another local giveaway for the group. Is Foxboro's Patriot Place near to you? You gotta check out the 5Wits Adventure venue. The ticket giveaway runs through 10/11. Good luck. A 5 Wits adventure is a cutting-edge, live-action entertainment venue that immerses participants in realistic, hands-on adventures, challenging them to prove they have what it takes to battle a giant squid (20,000 Leagues) or save the world (Espionage)! Espionage and 20,000 Leagues are currently available at Patriot Place in Foxboro, MA! In Espionage, you’ll be trained as spies, infiltrating and taking down an evil corporation determined to stop you at every turn. In 20,000 Leagues you’ll get caught up in the riddle of Captain Nemo's lost ship when your "tour group" accidentally discovers the Nautilus. A trained cast member accompanies each expedition, but make no mistake, you are the star of the show! Here's the perfect Christmas present for the right person, and that could be yourself. Giveaway is open to US residents and runs through 10/10. Good luck. Most women like earrings right? 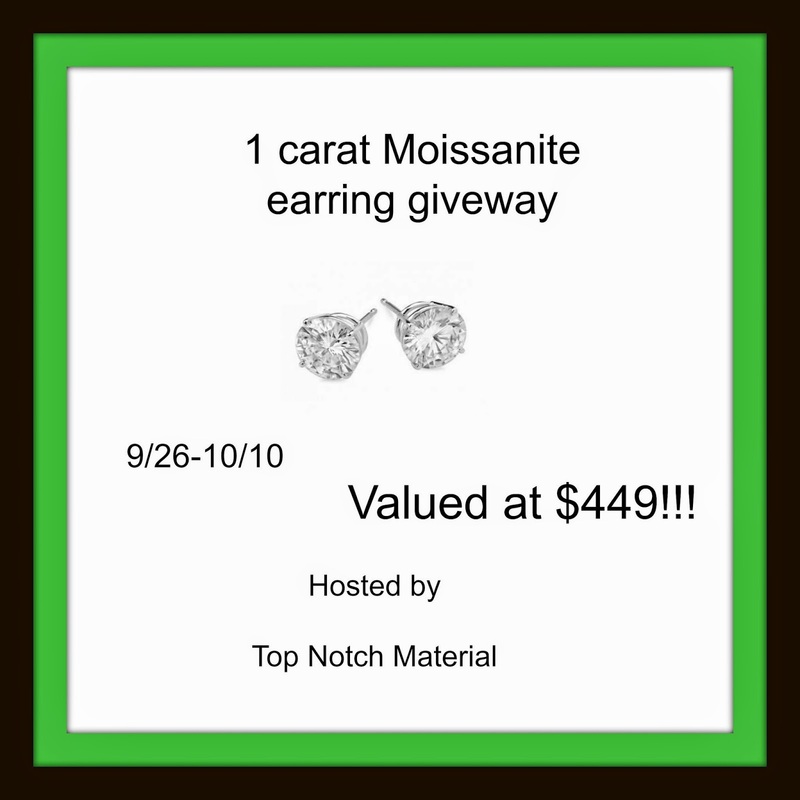 Well here is your chance to win a pair 1 carat earrings from Moissanite worth $449! You can enter for yourself or look really awesome if you give them as a gift. Check out my review on their rings. I received an amazing 2.8 carat Moissanite ring. Are you or your child a fan of Disney's Frozen? Here are all the movie's songs on CD, just for you to sing along to. Giveaway is US only and runs through 10/3. Good luck. I like companies that hold giveaways to help themselves win contests. Here's your chance to win some candles to help a candle company win a Martha Stewart sponsored giveaway. The giveaway that you can win ends on 10/13, which just so happens to be the last day for the online voting for their contest. If you can follow all that, enter and vote below. 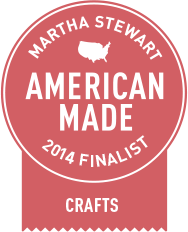 Right now, Seawicks Candle Company is a finalist in the Martha Stewart "American Made" Products contest and needs YOUR VOTE to help them win! $100 Amazon Gift Card Event 10/12-11/5 Sign Ups End 10/7! Don't miss out on free admission to local museums this Saturday. Check out the list of participating museums at the Smithsonian Magazine site. Care to lose the wires on your mouse? Well, we're not giving one away just yet but if you're a blogger and you want to help promote the giveaway, here's the chance to. You'll get a free Twitter link and possibly a free Facebook link to boot. Come back after Sept 29th if you want to win. The Tom and Jerry Show has been around for some time, as it was a favorite of mine growing up. Here's the chance to introduce the show to the next generation of fans. Tom and Jerry continue to entertain audiences of all ages with their latest new show "Frisky Business". The Tom and Jerry Show Season 1 Part 1: Viewers will chase down laughs with everyone's favorite cat and mouse team as they run rampant across 13 fun-packed episodes that will leave fans clawing for more. Joining Tom and Jerry in their new escapades , are all their favorite pals that include, Spike, Tyke, Tuffy and Butch. You can count on a entertaining set of adventures that will follow the rambunctious pair as they tear around the house. 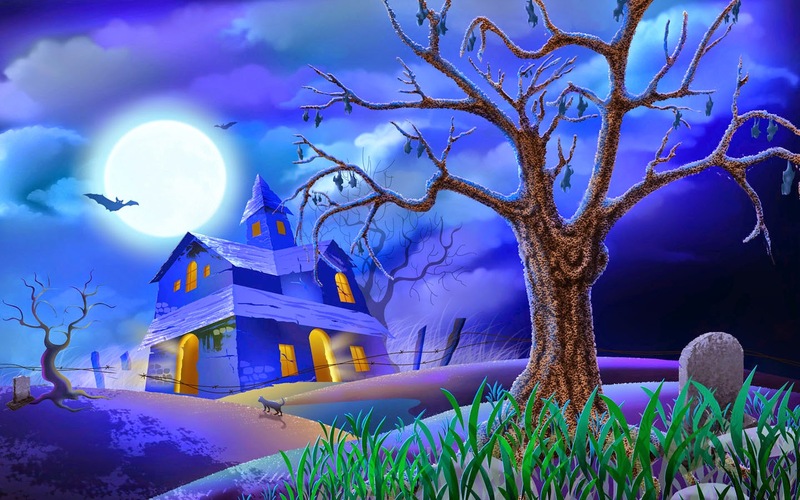 The pair get into some hilarious haunted happenings and mix up laboratory experiments, all in good fun. They even take a break from all the tussling and team up to solve a few mysteries along the way. As always, Tom and Jerry had my Grandchildren completely captivated from start to end and with plenty of laughs mixed in. There is no wonder why Tom and Jerry have been a fan favorite since they first appeared in theatrical shorts decades ago. Their timeless appeal of Tom and Jerry continue to draw a new audience with new release. Here we go with another tablet giveaway, this time one from Toshiba worth $329. The giveaway is open to US residents only and runs through 10/16. Good luck. My Fab Fit Forties is excited be joined by some great bloggers to bring you the chance to win a fantastic prize -- a Toshiba Encore Tablet!! You have a week here to win $150 cash (via PayPal). Winner must be US based and giveaway runs through 10/1. Great win to jumpstart the holiday shopping. Good luck. What would you do with some extra cash!? 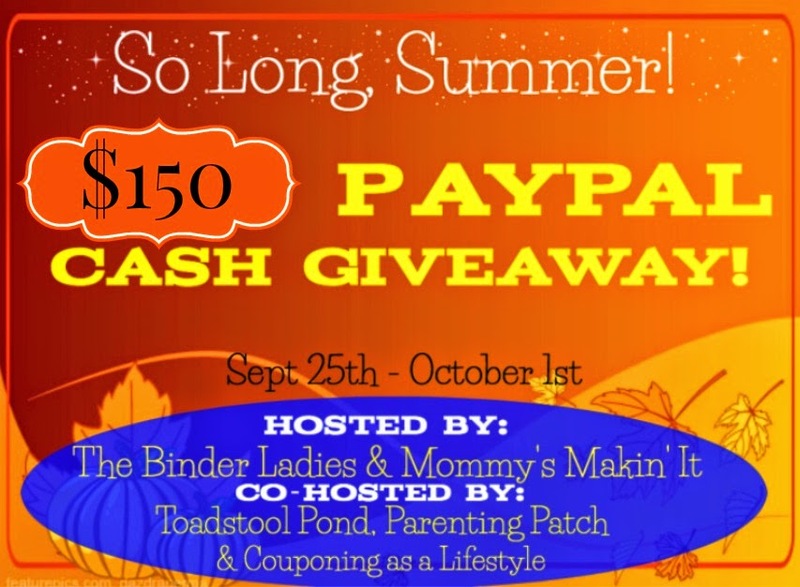 As Summer comes to a close, and beautiful Fall weather starts moving in, a wonderful group of amazing vendors, representatives and independent consultants are offering up a $150Paypal deposit for 1 luck winner, to help with those Summertime blues. Stick it in the bank for a rainy day, use it to get a jumpstart on your Christmas shopping, treat yourself to something special, or use it toward your bills or groceries! Kids will love the bright decorations and inspired treats and you'll love the nostalgic twist in sharing your favorite Seuss characters with your little one. Here are some ideas on how to throw a stress-free Dr. Seuss party when you use the Dr. Seuss ABC party theme from Birthday Express. Here's an interesting cookbook up for grabs where the food is meant to be prepared away from home. We'll have five winners. US based only. Giveaway runs through 10/8. Good luck. Here's the perfect giveaway to help you get further along with your Christmas shopping. The winner gets a gift card to Toys R Us, which is also good at Babies R Us. The giveaway is open to US and CA residents and runs through 10/8 at 7 am EDT. Yes, a 7 am ending time. Good luck. Welcome to All About Parents Birthday Extravaganza! It's Debbie from All About Parents birthday so guess what, Were going to have a giveaway! Debbie said to herself " What do I love to shop for the most?" Then it came to her! Her son! So for her birthday All About Parents is sponsoring this giveaway so you can shop for your little one to! One lucky winner will win a $140 gift card to Toys 'R' Us and a $140 gift card to Babies 'R' Us! 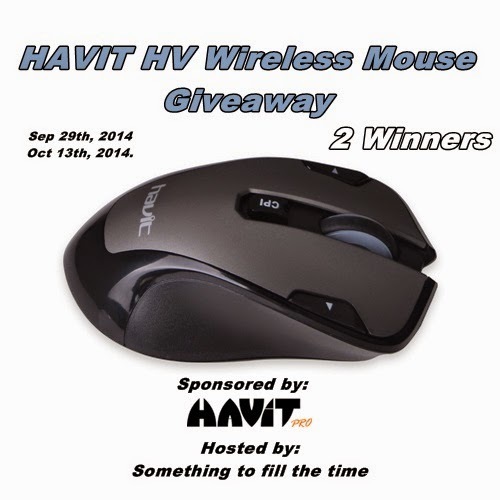 This giveaway will run from 9/24 7:00 am through 10/8 7:00 am. So get in all the entries you can and have fun like it's your birthday! Thank you so much for participating! Here's a chance to win an ATV worth $7,299. Enter daily through December 23rd. 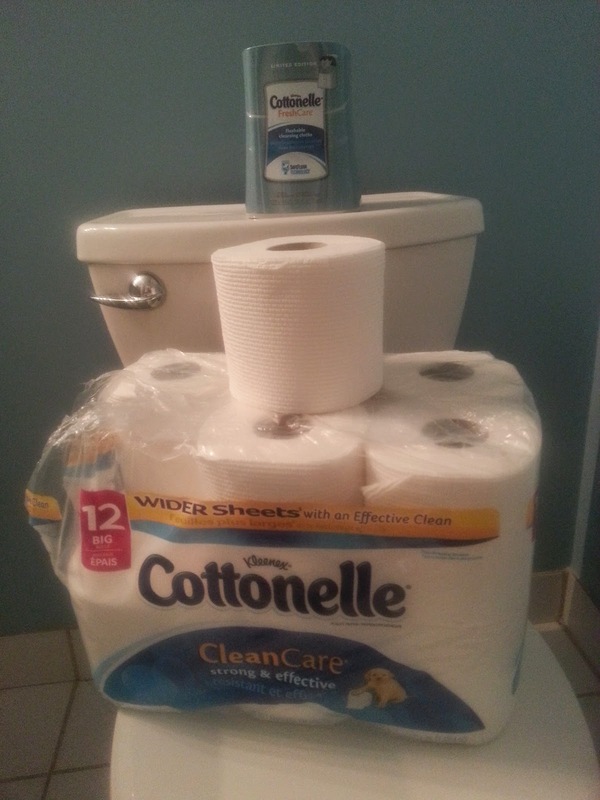 Last month, I mentioned that I was giving Cottonelle's Flushable Cleansing Cloths and CleanCare toilet paper a try. Have you had a chance to try this combo out yet? You can grab another coupon this month to give them a try. Don't miss out. Do you remember the old Polaroid cameras where the pictures came out after you took the picture? Here's a next generation way of doing with a portable printer that connects to your phone. The printer giveaway is US only and runs through 10/7. Good luck. Have you ever seen an ad or commercial for something and wondered if you should get it?Have you ever wanted to know if your friends or family would recommend it without having to call or email them? What if I told you that there was a FREE site where you can get product recommendations from people you know and trust? Well, there is... ThingsFolio offers a one-stop-shop where you can get all the information you need, all the while helping others with your own reviews and recommendations. You see, you and your friends can set up Folios filled with ratings and reviews of items you own. Then by checking out friends and families' Folios you can research and learn about the products that interest you. What would I add to my ThingsFolio? Personally, I'd probably go with some electronics. Just how much, only time can tell. Beyond that, I'm just not sure. If you do much writing for work, personal business or as a career, you know how important it is to make sure your written word is fluent, grammatically correct and flows well. Even if you have great ideas, sometimes it can be difficult to come up with the right words, but mostly even the best writers need a little help with proofreading from time to time. StyleWriter 4 is the perfect addition to your office to help you become the best author you can possibly be! Whether you have years of experience, or you are sitting down for the first time, you can become a better writer instantly with StyleWriter 4. With this great Free Trial Offer, you can start using the world's most powerful editing software immediately! If you aren't sure about whether this is for you or not, check out the great video: Introducing StyleWriter 4! Not only will you learn more about the program, but you'll be sure to be convinced about what a great tool it is for you! Here's an interesting book for the 3-7 crowd. Also here is a $100 Amazon GC giveaway. Check out the book, enter the giveaway, and good luck. Open internationally, the giveaway runs through 10/23. I run the occasional shoe giveaway that seems to be popular. So, I thought I'd help promote this Kushyfoot giveaway. It is a US only giveaway that runs through 10/7. Good luck for your feet's sake. Enjoy the NEW Kushyfoot Shaper Tight. Shaping tights are designed with a firm shaper that tames your tummy, hips and thights. Each tight comes complete with a built in control top, massaging sole, and a reinforced toe for durability. The Fleece and Fishnet Trouser Socks will add fashion to your suits and allow you to wear fashionable shoes with your Fall and Winter outfits. These are designed to help prevent leg and foot fatigue. 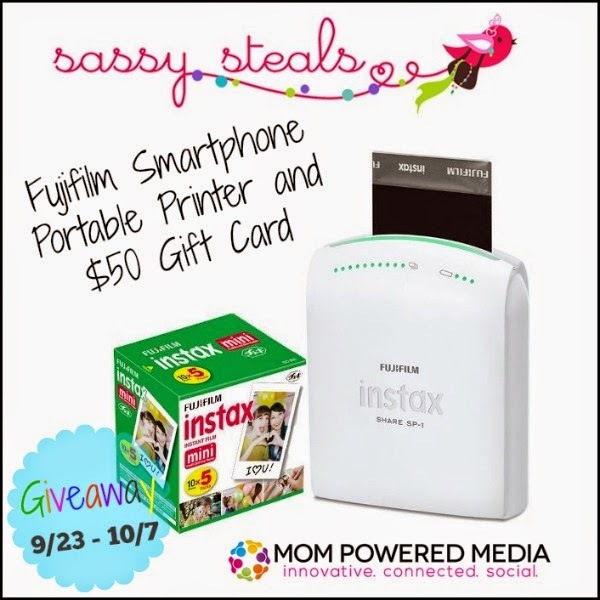 Here's your chance to win a 3-in-1 M-Show from GGMM. The three parts to the contraption are a Bluetooth speaker, desk lamp, and tablet stand. The speaker is 30 watts (and can get pretty loud!) and the rechargeable battery will give you about 5-7 hours of continuous use. 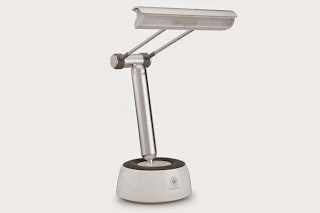 It is compatible with all Bluetooth devices and will work from up to 10m away. Do you have a Ryan’s, HomeTown Buffet, Fire Mountain, or Old Country Buffet restaurant nearby? 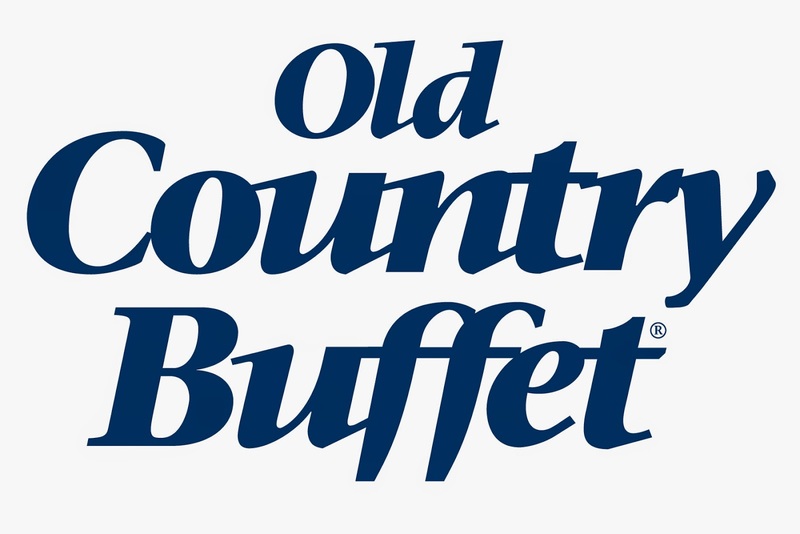 For our area, its Old Country Buffet. These popular buffet restaurants are currently offering for sale $75 discount coupon booklets for $10 which includes 25 coupons with discounts on breakfast, lunch, and dinner, including two-for-one offers and other specialty discounts. If you're over 60, the booklets are only $5 even. While you can buy the coupons booklets at any one of their 300+ restaurants, while supplies last, we have four to giveaway here. Enter below for your chance to win. The giveaway is open to US residents only who are 18+ (void where prohibited). I'd probably add with one of those restaurants nearby, too, though you can certainly give them as a gift, just not as a Christmas present as they're only good to about Thanksgiving (Nov 26th). Need a new pillow? Here's an interesting one available to win. This isn't your normal giveaway though. If you win, the expectation is you write a review on Amazon. 60 are up for grabs. The pillow itself is full of buckwheat hulls. Actually, it comes empty and you fill it yourself to your level of comfort. Sounds interesting. Give it a try if you want to win one and write up a review. Shop now for the adidas End of Season Sale, where hundreds of styles and tons of gear are up to 50% off! Soccer cleats, running shoes, World Cup team wear, Originals apparel… everything a family needs to stay active and stylish. Get ready to stock up on your workout wear or start your holiday shopping early. Be sure you don't miss these deals—sale ends October 4th. An early Happy Halloween with this giveaway. You just have to see the wide selection of prizes available here. Check out DVDs available here, along with a popcorn popper and target GC. You have through 10/12 to enter if you are in the continental US. 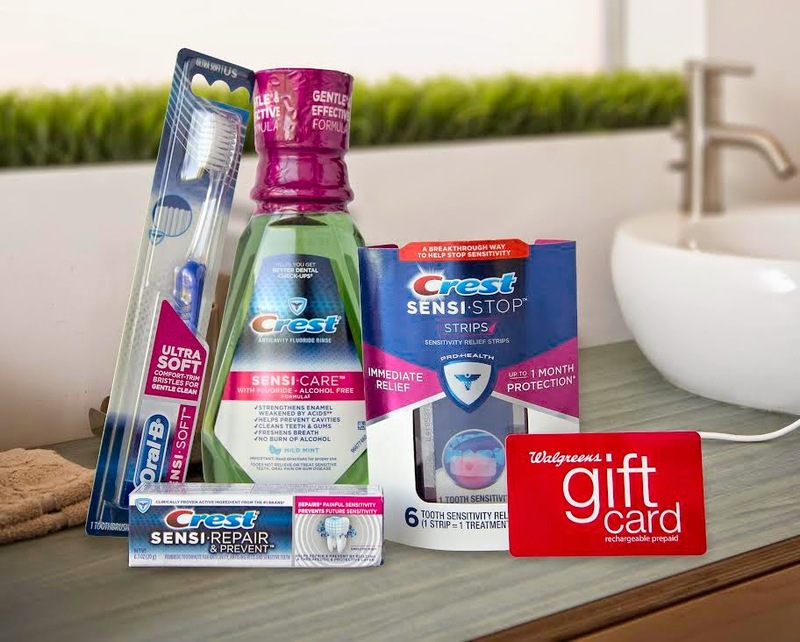 Check out the Crest prize pack that is up for grabs here, which includes a Walgreens gift card. You have until 9/29 to enter to win this US only giveaway. Do you have any trouble with tooth sensitivity? Thankfully, I don't now, though periodically I have had troubles. The last time was probably a few years back. I've always loved these wooden puzzles. Here's a chance to win $100 worth of them from BeginAgain. The giveaway is open to US residents only and runs through 10/6. Here's a blogger opportunity worth two free links. Sign up for this giveaway that starts 10/14, so come back in a few weeks if you want to win. Great for home schooler theme bloggers. We are giving away a very valuable 1 year subscription to Groovy Lab in a Box. The winner will receive fabulous STEM experiments each month. You can read about our box here. Our month-long study on catapults is so much fun and very rewarding. We are learning a lot about the experimentation and design process. Groovy Lab in a Box promises that no box will ever be repeated. So, its new learning every single month! The Giveaway will take place from 10/14-11/4 and is open to US residents only. The subtitle says it all here: Build Your Own Town. I love the LEGO books from No Starch Press and I'm grateful they continue to send them to me for review. 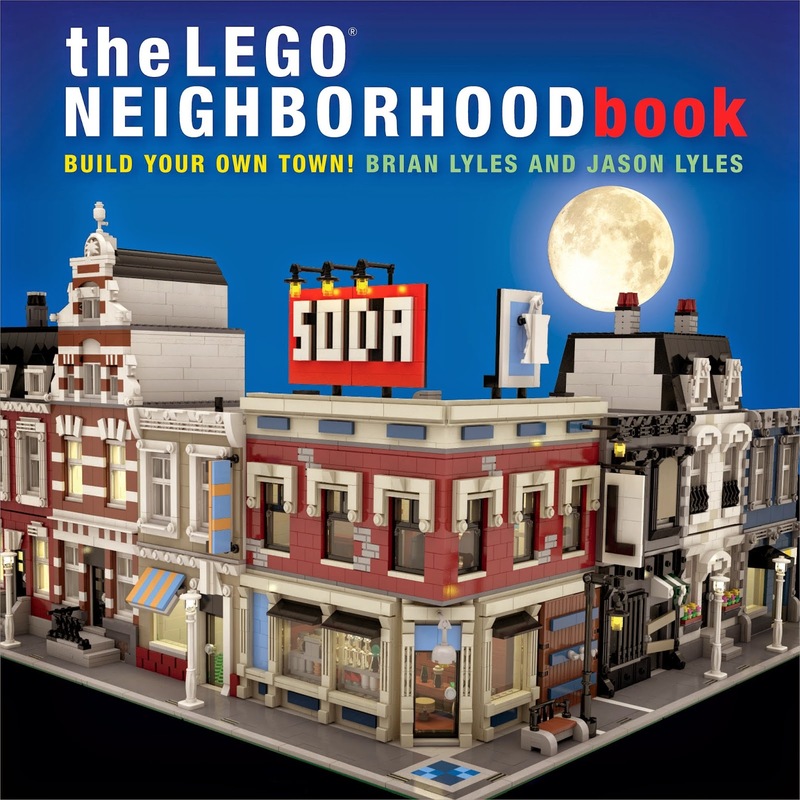 The latest titled The Lego Neighborhood Book has you designing and building your own LEGO buildings without building-specific sets. If you have enough of the bricks already, you don't need to buy LEGO sets for the different buildings. Are you looking to update the art in your home? My wife and I are in the midst of it. We've changed up some of the family photos we've hung on the wall and, thanks to a review opportunity from Fulcrum Gallery, we'll be changing up some of the framed prints, too. 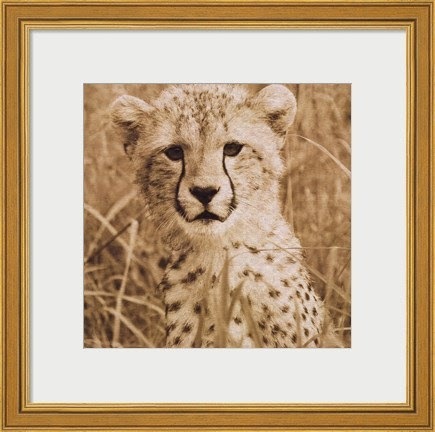 Fulcrum offers framed art and home decor. How do you go through the whole site to find just one to get? They categorize their art by style (like modern vs. classical), by artist, by subject, and by room. So, how did I decide? I let my son pick. And, as the picture above shows, he's into cheetahs lately, thanks to Wild Kratts. Here's a blogger opportunity for a $50 Amazon gift card. Grab a Facebook, Twitter, or Pinterest link if you participate. No set start date yet though. Signups will close once all Co-Host spots are filled. The giveaway event dates are TBA.